Here is a brief update from Shor Dental. 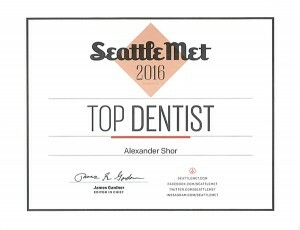 For the seventh consecutive year Dr. Alexander Shor is ranked as one of the Seattle Top Dentists. 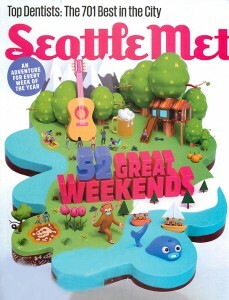 Dr. Alexander Shor was nominated by his peers who received ballots and were asked “If you had a patient in need of a dentist, which dentist would you refer them to?” The results appeared in the January 2016 issue of Seattle Met.